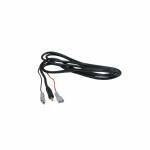 Plug your HCO Spartan game camera directly into 110v AC power. 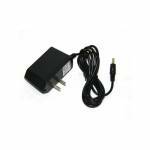 6V (1000 mAh, 110-220V) external AC adapter. It will work with the following models: Any Spartan Model Camera SR1-IR SR1-BK SR1-2Gi SR1-2Gb SR1-WCD SR1-WCDi SR1-C2K SR1-C2Ki .. Battery and Solar Panel NOT included. 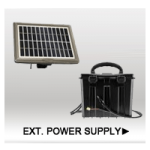 Kit is capable of running off a 6v battery and solar panel or a 12v battery and solar panel. .. 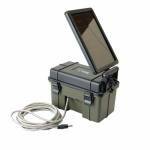 Compatible with all Stealth Cam & Wildview digital cameras with an external battery port, Includes a 12v battery, premounted 2 watt solar panel, A/C Charger and 10ft of wrapped cord. ..
Now you can conect your Moultrie camera directly to AC power. 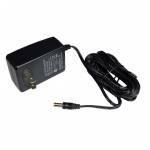 If you have a situation that you have power where you want to set up your camera, you can now connect it to an AC outlet with this AC Adapter. Only works with Moultrie Cameras model year 2014 and newer. 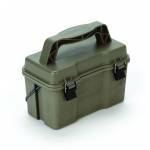 ..
Moultrie Camera Battery Box will extend the field life of your Moultrie camera with a long lasting, rechargeable external power source. 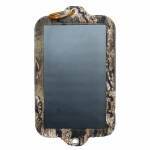 Compatible with Moultrie 2007 and later digital game cameras. Includes the battery charger. 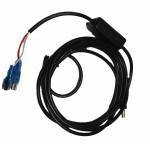 Rechargeable 12-volt battery Weather-resistant case 6 ft weather-resistant cord Includes battery charger Compatible with Moultrie 2007 and later digital game cameras ..
Connect this external battery kit to your Stealth Cam or Wildview camera and get extedded battery life from your camera. 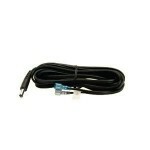 Compatible with all of the Stealth Cam & Wildview cameras that have a 12V external battery port. If the camera requires C batteries it is 12 Volt. 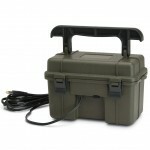 Includes non-spillable lead acid battery 12V 8A weatherproof box 10ft outdoor cable strap and home DC charger. Actual number of images may vary depending on resolution setting weather conditions and night time activity. .. 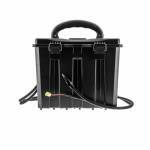 This kit includes the battery box, 12v rechargeable battery and 10w solar panel. Works with HCO Spartan Game Cameras. Battery Box reduces the voltage output from 12 volts down to 6 volts. .. 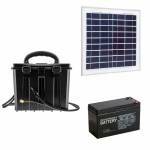 This kit includes the battery box, 12v rechargeable battery and 15w solar panel. Works with HCO Spartan Game Cameras. Battery Box reduces the voltage output from 12 volts down to 6 volts. ..
You no longer have to worry about your camera dying. Covert’s new solar panel is the cure. The solar panel works with all 2014-2017 Covert model cameras that use 12 batteries. 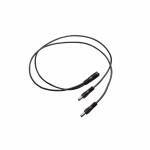 EP-5/11 Solar Panel Charger 11V 5.5W Advanced Mono-Crystalline Solar Panel Rear pouch, 920mm (36.2″) 18awg cable with Tin Plated Faston .25″ insulated connectors New PWM charge controller to charge a 6.4V LFPo4 battery, Weather Resistant ..